Let's chat. Do you know of any novels featuring Easter? The classic one that springs to mind is Vinegar Boy, a great historical YA novel about the boy who was forced to offer the vinegar soaked sponge to Jesus as he hung on the Cross. It's an excellent story about the very first Easter. 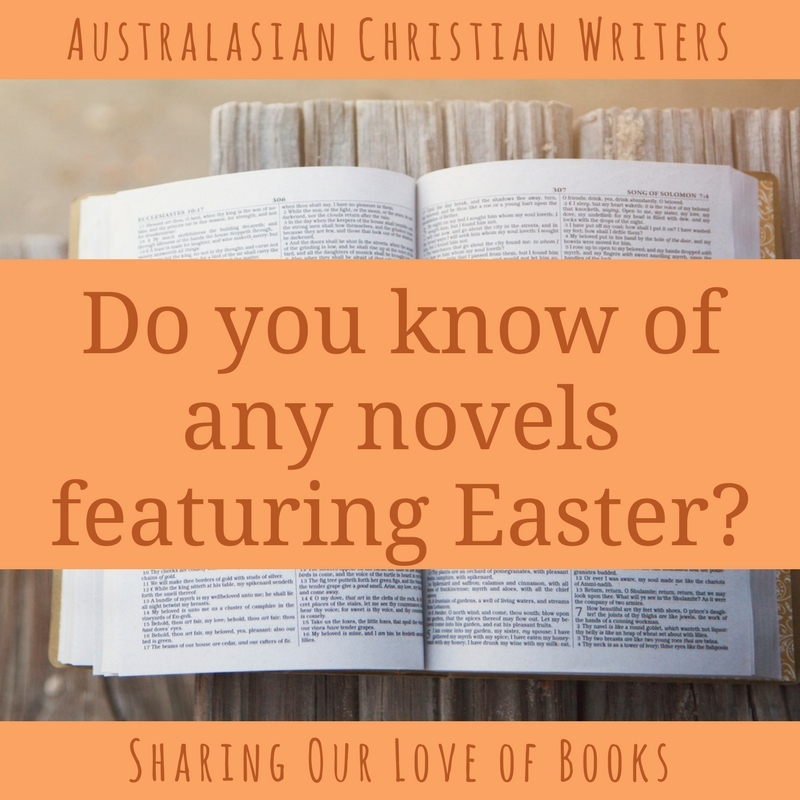 But in general, it's far harder to think of Easter being featured than Christmas, and I look forward to seeing more comments. Hi Paula, I really enjoyed reading ‘A Stray Drop of Blood’ by Roseanna M. White. Back in 2009 I reviewed it for the International Christian Fiction Writers blog. It’s a powerful story and I highly recommend it. Crime Scene Jerusalem by Alton Gansky is a good one. A crime scene investigator finds himself back in time investigating the crucifixion. By the end, you feel like you are part of the story.